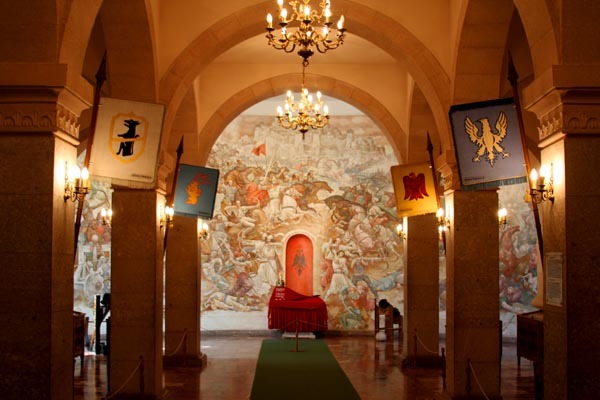 The Skanderbeg Museum (Muzeu Kombetar Gj. 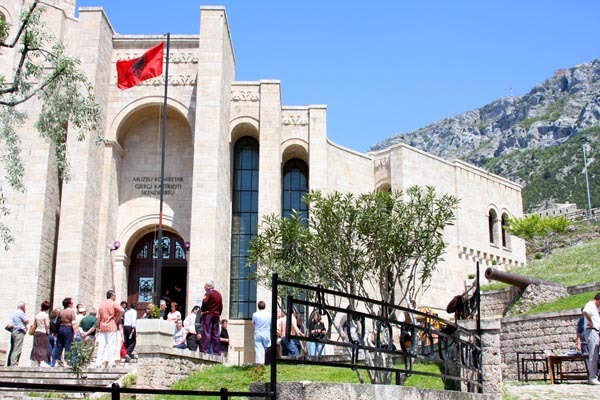 Kastriot Skenderbeu) was inaugurated in November 1982, and named to honor George Kastrioti Skanderbeg (1405–1466), a national hero of Albania. 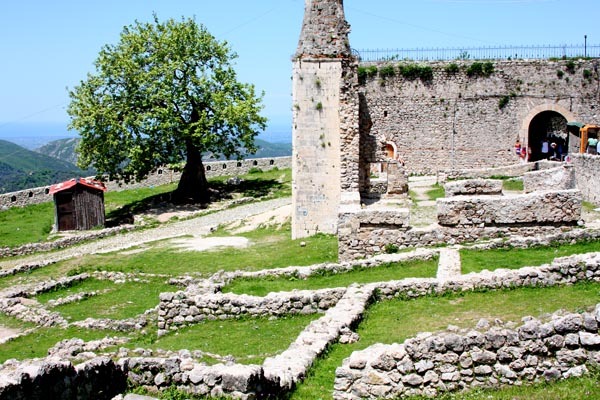 The museum is located inside Krujë fortress and the restored bazaar. The memorial building was designed by Pranvera Hoxha and Pirro Vaso. Inside, you’ll find several historic artifacts, stone and wood engravings, wrought iron as well as maps, graphics, glass paintings and other objects attesting the history of the place.